If you’ve read Hollywood Mom Blog for any amount of time, you know we’re huge fans of the talent that is Chloë Grace Moretz. Recently, the 17-year-old actress and budding fashion icon, speaks about her challenges being a child star while at Cannes for the screening of her film, Clouds of Sils Maria. At the peak of her international career, Maria Enders (Juliette Binoche) is asked to perform in a revival of the play that made her famous twenty years ago. But back then she played the role of Sigrid, an alluring young girl who disarms and eventually drives her boss Helena to suicide. Now she is being asked to step into the older Helena. She departs with her assistant Valentine (Kristen Stewart) to rehearse in Sils Maria; a remote region of the Swiss Alps. A young Hollywood starlet with a penchant for scandal (Chloe Moretz) is to take on the role of Sigrid, and maria finds herself on the other side of the mirror, face to face with an ambiguously charming woman who is, in essence, an unsettling reflection of herself. 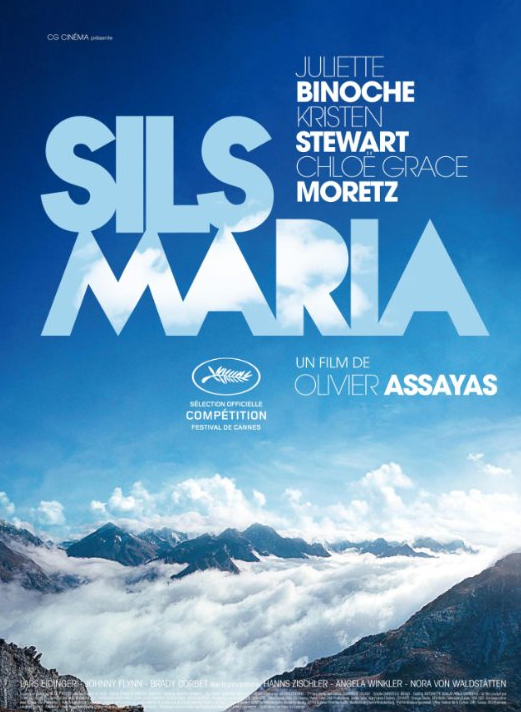 Low key Chloe Moretz plays her polar opposite in “SIls Maria,” a young Hollywood starlet with a penchant for scandal. Great head on those shoulders! Bravo!